March 1898 : Colonel J.H. 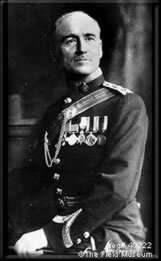 Patterson is appointed to take charge of the construction of the Tans - Uganda Railway and to build a bridge across the Tsavo River. The engineering problems alone are monumental; the worst problem, however, is not of human origin - it is two mighty, man-eating lions. The lions hunt with such a methodical precision that the Africans believe they are the devil in person and call them the ' Ghost ' and the ' Darkness ' . The problem begins when a Sikh named Ungan Singh is seized in his tent during the night, dragged off and eaten. Patterson, who is skeptical about the rumors that man eating lions are in the area, investigates the death of the Sikh. He finds paw prints plainly visible in the sand, and the furrows made by the heels of the victim are very evident. Now, convinced, he starts to track down the animals. This is the beginning of a tragedy which almost caused the termination of the Trans - Uganda Railway. 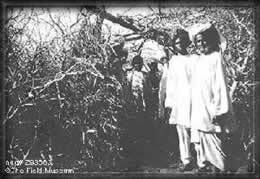 The following night Patterson lurks in a tree near the remains of the Indian, hoping the lions would return. This time, however, the brutes seize a victim from another camp. The next night he takes up his post in a tree near the second scene of crime. He ties a goat below to the tree, hoping to entice the lions to return. But, about midnight, he hears the screams and cries of yet another victim. The lions seem to have the uncanny ability to avoid any traps Patterson may set. Every night Patterson tries to scout the location of the lions, or trap them, but to no avail. 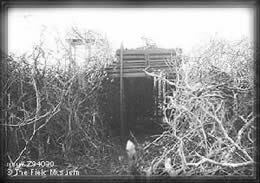 To protect the workers from the ferocious ravages of the man-eaters, very high, thick thorn fences were constructed around each camp site. The lions, however, managed to jump over or break through these fences seemingly with impunity and disdain. And every few nights another man was carried off to a grisly death. After one of these dismal failures to kill the beasts, Patterson notes that the lions have only partially devoured a dead donkey. 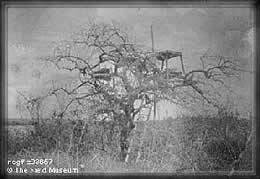 Suspecting that they may return to finish off their dinner at a later time, he has some workers construct a tree stand on which he is going to spend the night. It was December 9th, 1898. Suddenly he hears a twig snapping below. The lions are back ! But it didn't take them long to notice Patterson's presence and begin slowly circling the stand. Patterson sees his chance, raises his gun, aims and shoots. A most terrible roar tells him that he hit the beast. The first lion is dead. It measures nine feet eight inches and it takes 8 men to carry him back to camp. The second lion is killed shortly thereafter. This time he puts up a platform in a tree near some dead goats. Again, he is hoping that the lion will return to finish his meal. And his patience is rewarded. He gets a shot at the beast, however, the lion is only wounded and escapes into the bush. The next morning he tracks the man-eater and finds him in a thick jungle. He shoots but the brute springs out and attacks him. Patterson flees for his life and climbs the nearest tree. From there he finally kills the lion. Over 130 people fell victim to the beasts of prey. 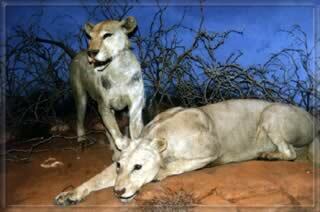 Both lions were male although they didn't have a mane. In 1925 Patterson sells the skins to the 'Field Museum' in Chicago for the then-sizeable sum of $5000 . The museum's taxidermist did a really great job creating the life-like mounts which are still there on today. 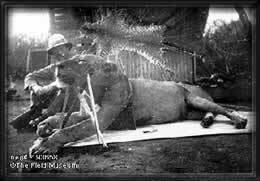 ( Due to Patterson's inappropriate storage of the skins, the taxidermy mounts are much smaller than the lions were in real life ) .